Before I begin my analysis of Saturday's $1 million Arkansas Derby (gr. I) at Oaklawn Park, let me say now that I'm going a bit outside the box with my selection and don't necessarily advise you to follow suit. Once in a while, a race comes along in which I can make a case against all of the favorites, at which point I feel as though I should look for a live longshot rather than accept a short price on a horse that I feel has questions to answer. Such is the case in the nine-furlong Arkansas Derby, which offers 100 Kentucky Derby qualification points to the winner. On paper, the horse to beat is Magnum Moon, who boasts a perfect 3-for-3 record. Trained by Todd Pletcher, the well-bred son of Malibu Moon opened his career with a couple of easy victories at Gulfstream Park and Tampa Bay Downs, after which he stepped up sharply in class and prevailed again in the 8.5-furlong Rebel Stakes (gr. II) at Oaklawn Park. Suffice to say, there was a lot to like about Magnum Moon's performance in the Rebel. Despite racing wide throughout while vying for the lead with three other horses, Magnum Moon pulled away with authority leaving the far turn and drew off to beat a quality field by 3 ½ lengths, earning a 97 Beyer speed figure that is the highest posted by any horse in the Arkansas Derby field. But will Magnum Moon repeat that effort on Saturday? Though he won the Rebel decisively, I got the impression that Magnum Moon had to work hard for that victory, and the way he drifted around down the homestretch suggests to me that he didn't have a lot left in the tank. Now he's stepping up in distance, facing an arguably deeper field, and making his fourth start since January 13th. Part of me wonders if his busy racing schedule and hard run in the Rebel Stakes could leave him vulnerable to regression in the Arkansas Derby. If Magnum Moon doesn't fire his best shot, then Solomini could certainly take advantage. Trained by Bob Baffert, who has enjoyed remarkable success in stakes races at Oaklawn Park, Solomini ran well against the likes of Good Magic, Bolt d'Oro, McKinzie, and Instilled Regard last season while placing in such significant races as the Breeders' Cup Juvenile (gr. I), FrontRunner Stakes (gr. I), and Los Alamitos Futurity (gr. I). But although Solomini has kept better company than anyone, his grinding style tends to leave him at a disadvantage against horses with superior early speed or a better turn-of-foot in the homestretch. He has also had issues with changing leads, both during morning training and in his races. He was favored to win the Rebel Stakes while making his first start in three months, but wound up getting a tough trip racing inside and behind horses--which he didn't seem to care for--and when he finally got in the clear he failed to change leads and couldn't gain any significant ground on Magnum Moon, who was long gone by that point. Drawing post five should help Solomini work out a better trip on Saturday, and with a clear run I think he can turn the tables on Magnum Moon. But given the issues he's had changing leads, I don't think he's unbeatable, and at 2-1 on the morning line he doesn't offer much value. Combatant had a rough run to the first turn in the Rebel Stakes, but subsequently put in a big late run to finish third, beaten just a head for second by Solomini. But that effort was preceded by runner-up efforts in the Springboard Mile, Smarty Jones Stakes, and Southwest Stakes (gr. III), and while Combatant had somewhat difficult trips in all three races, I'm starting to get the impression that Combatant is more of a "pick up the pieces" type more likely to hit the board than reach the winner's circle. In addition, I wonder if he might be at his best going shorter than nine furlongs; he had an advantage over Solomini in the homestretch of the Rebel, but subsequently flattened out and lost the runner-up spot close to home. Another logical contender is Quip, who recently returned from a layoff to post an upset victory in the Tampa Bay Derby (gr. II). He beat some quality horses in that race, including subsequent Blue Grass Stakes (gr. II) runner-up Flameaway and Wood Memorial Stakes (gr. II) winner Vino Rosso, but I think it's important to note that Quip got a very easy trip in the Tampa Bay Derby, stalking slow fractions of :24.54, :49.48, and 1:13.78. He could face more challenging circumstances in the Arkansas Derby, especially while drawn wide in post position eight with a few speedy rivals to his inside. What I'm leading up to here is that I'm going to take a shot in the Arkansas Derby with Beautiful Shot, who is 30-1 on the morning line. I'll be the first to admit that on paper you can't really make a case for him, and in terms of pedigree he's bred like a sprinter and might not want to run this far. But at the same time, Beautiful Shot has shown enough talent to make me think he could be a player on Saturday. He opened his career last year with late-running wins in a maiden race at Del Mar and the Speakeasy Stakes at Santa Anita, in the process defeating the talented Bob Baffert-trained colts Nero and Mourinho. Now granted, Beautiful Shot got ideal setups in both races--for example, in the maiden race, Nero lost focus and essentially stopped in front of Beautiful Shot, while in the Speakeasy, Mourinho dueled through a :21.31 opening quarter-mile that gave closers like Beautiful Shot an advantage. However, I also believe that Beautiful Shot's last two efforts were better than they appear at first glance. Though he could only finish a distant third in Del Mar's seven-furlong Bob Hope Stakes (gr. III) behind the next-out stakes winners Greyvitos and Mourinho, the Daily Racing Form subsequently reported that Beautiful Shot came out of the races with ulcers, which may have affected his performance. Given some time off, Beautiful Shot returned to action in the March 10th Gotham Stakes (gr. III) at Aqueduct, a race that was pretty much a disaster from start to finish. Beautiful Shot showed speed from the gate and tried to establish a forward position, but soon found himself racing in tight quarters in between horses, an uncomfortable position that Beautiful Shot didn't seem to relish. Rounding the turn, he was shuffled back in traffic and forced to steady, even appearing to stumble briefly while losing a lot of ground. At that point, he wasn't asked for much and was essentially eased to the finish. I don't know if Beautiful Shot can step up enough to be competitive in the Arkansas Derby, but I feel strongly that he shouldn't be dismissed strictly off of his Gotham effort. Trainer Keith Desormeaux has done well shipping horses to Oaklawn over the last couple of years, winning the Southwest Stakes (gr. III) with My Boy Jack and the Fifth Season Stakes with Sonneteer, with the latter also being noteworthy for finishing second in the 2017 Rebel Stakes (gr. II) as a 112-1 maiden. In addition, there is some hope that Beautiful Shot's pedigree can carry him nine furlongs. His sire, Trappe Shot, did run second behind champion Lookin at Lucky in the 2010 Haskell Invitational (gr. I) over this distance and has sired a couple of stakes horses that have excelled in route races, including Oklahoma Derby (gr. 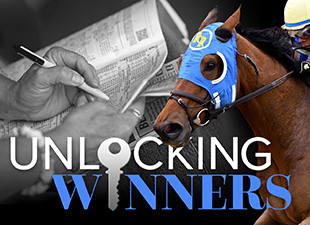 III) winner Untrapped and Blue Grass Stakes (gr. I) runner-up My Man Sam. Furthermore, Beautiful Shot's dam--Beauty for Ashes--was stakes-placed going a mile and has produced a couple of foals that were successful around two turns, including Putyourdreamsaway (third in the Millions Distaff Preview Stakes going 8.5 furlongs) and Sylvia's Warrior (a maiden winner going a mile). Beautiful Shot is far from being my most confident selection on the Derby trail this winter, but at 30-1 on the morning line I think he's higher than he should be and is worth some small plays. He doesn't even have to win to make playing him worthwhile--finishing second or third at a huge price could sharply boost the payoffs in the exotics. And if he does win, the reward will be significant. Now it's your turn! Who do you like in the Arkansas Derby?